It is easy to understand why Jersey Boys won the 2006 Tony Award for best musical. A documentary style musical about the 1960s rock n’ roll group Frankie Valli and The Four Seasons, the show has been rocking the house in its return engagement at The Bushnell in downtown Hartford, Connecticut. Last Saturday’s matinee performance was no exception. From the moment the players stepped on stage until they took their final bow the audience was fully engaged with the story and music, offering prolonged applause after several songs to clearly appreciative cast members who remained in character, yet acknowledged the response with a touch of a hand to their hearts. From “Sherry” to “Big Girls Don’t Cry” to “Can’t Take My Eyes Off of You” and other hits, there was energy throughout the play and power in every voice, recreating the group’s sound with authenticity. 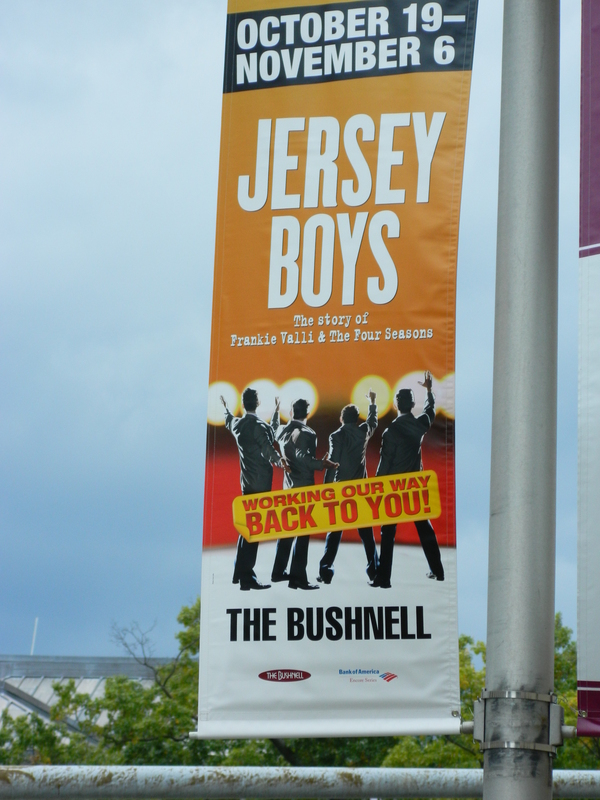 Without degenerating into crudeness, the story is told with honesty, including some salty language, about the trials and tribulations of the lives of the four blue-collar kids from New Jersey who made it big and “put Jersey on the map.” So glad this tour included the Hartford stop, that opened October 19 and runs until November 6.